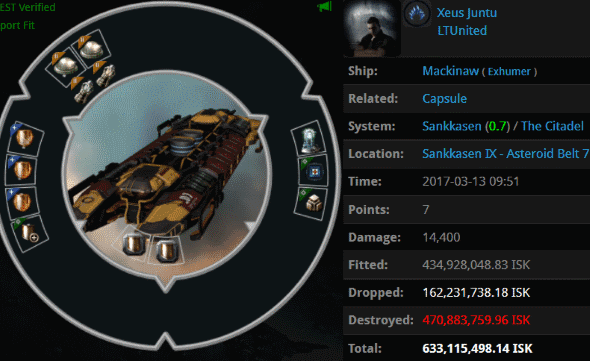 Xeus Juntu tanked up his Mackinaw with a highly flammable substance: bling. 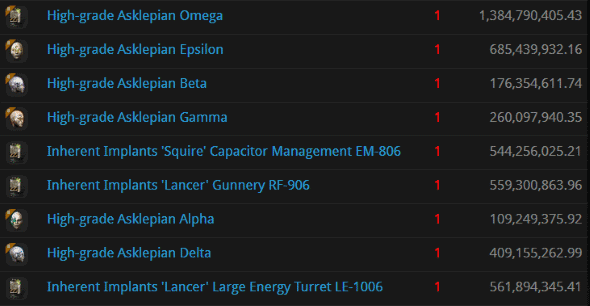 The pricey mods attracted the notice of Agents Luna Nightblood, Salah ad-Din al-Jawahiri, and Ralliana. As Agent Salah observed, the Mackinaw would've had 75k EHP, or 110k EHP if overheated--against Catalysts. So our infinitely versatile Agents brought Tornadoes instead. 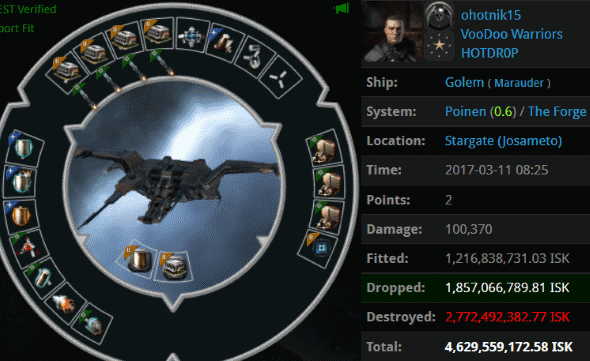 ohotnik15 went batty and invited CONCORD onto the killmail. How many freighters need to die before people learn how to use them properly? 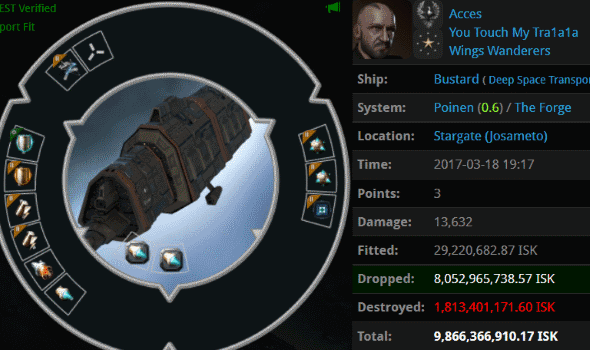 rashaverak apparently tried to "tank" his ship by filling it with cargo. 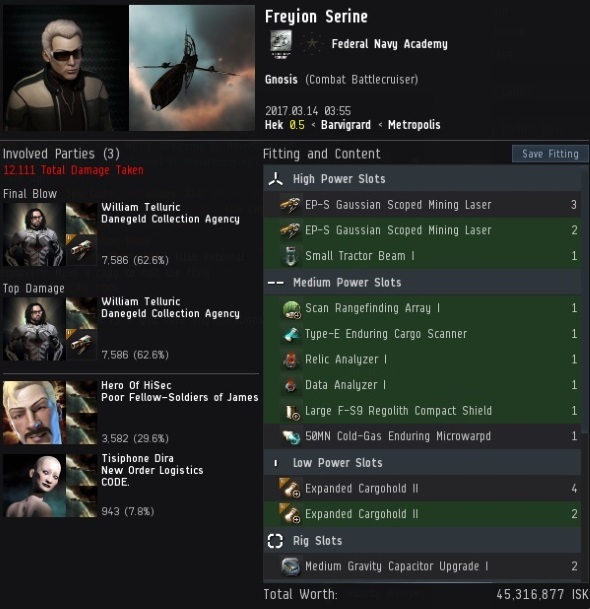 The 29 billion isk behemoth signed his own death warrant. An indignant mob formed to stop him from continuing to flout the Code: Agents Synamic, Miros Homar, Dewzer Eyre, Ampelius Loukianos, ZAKURELL0 LINDA, Tantaria Stavanghar, Kyt Thrace, Yojiro, Blasty McVoidFace, neurothic, Alexis Grixis, Selo ibnSedef, Marcos Tolg, Whitney Wooberg, Bob Painter, Gea Stormbound, Liz Cadelanne, Grant Bant, Inspector Implant, Bint Bint, Catharina Hakoke, Jason Kusion, Skeezy McSkeez, Slipstream Prediouca, Dragalis Miraxim, Dirk Utama, Ivana Freemam, Joel Kusion, Jayson Kusion, Sinagico, Jake Kusion, Jeremiah Kusion, Lead Colonist Dallocort, Jayden Kusion, Jackson Kusion, Justin Kusion, Joseph Kusion, The Tension, Joshua Kusion, Johnathan Kusion, Sigmund Jund, Jasper Esper, and SynthiaGreey. 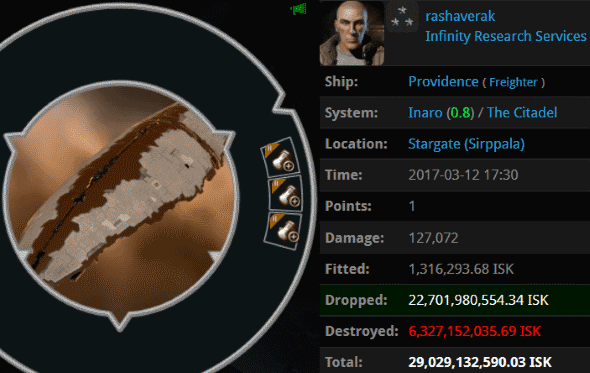 6.2 billion isk in mining drones? Sickening. The carebear mewls, "Why don't you shoot ships that can shoot back?" To which we must respond, "Why don't you fit weapons on your combat ships?" Freyion Serine abused a Gnosis hull by fitting it with mining equipment and cargo expanders. Agents William Telluric, Hero Of HiSec, and Tisiphone Dira arrived and gave it a merciful death. Lion Gold's is a sad story. She was autopiloting in a completely unfit Heron-class frigate. It was destroyed, but her pod kept plodding along and jumped through the gate into Agent HARMONY ST0NER SMURF's system. That's where her journey ended. 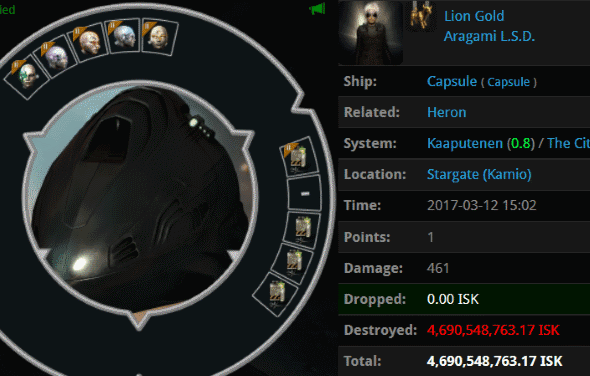 In all, 4.6 billion isk worth of implants were evaporated. If you're curious what an Asklepian set does, it's similar to a Crystal set: It provides a bonus to your armor reps. A must-have for any unfit Heron pilot. I don't know which was more offensive, the DST or the Mining Gnosis. I don't suppose it matters, since they both earned their fate a thousand times over. Using Tornados? Cool! What were the fits? Zkill is the go-to tool for fits both rebel and friendly. You can glean a lot from its pages.